There are 3 important aspects to a character, they are: personality, design and purpose. Characters lacking one or more of those aspects may come off flat and boring. Personality is how the character acts and interacts with other characters. The personality is what gives your audience feelings for your character. Design is another important aspect. Their design is how the audience will remember your character. Purpose is the final aspect of characterization. Everyone has a purpose, big or small. This is why you decided to create your character. What are they going to offer to your story? First step is personality. Why personality first? Why not design? Good question. Your character's design should reflect their personality. If your character is happy, bright colors should suit them better. If your character is sad and droopy, dark, neutral colors should suit their design better. Now this is the point where you just sit down and brainstorm. What comes to mind? Do you want a character that's average, overly ambitious, serious, harshly sarcastic; whatever it is that you want, just jot these ideas down. Each one of these characteristics adds to your characters personality, even if it's something along the lines of "they like ice cream". 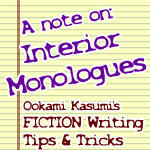 Tiny details such as that can add more depth to your character whether you know it or not. What would your character do if someone accidentally stepped on their foot? Would they completely flip their lid and tell the other person off? Would they giggle, shrug it off and go on their way? What would your character order in a restaurant? Would they order a big, fat, juicy steak? Would they order pasta and a salad? What would your character do if someone gave them a book for Christmas? Would they read it? Would they toss it aside and ignore it? Imagining scenarios such as this will help you think through your character's personality. Another aspect that can add to your character's personality is research. Say you want your character to be Vegan, but you don't know anything about Veganism. Start reading about Veganism, study it and become familiar with it. The more realistically you make your character seem Vegan, the more solid their characterization will be. BEWARE. Don't overdo your character's personality. You want your character to be realistic and believable. This is what will make your audience like them. If you make them ridiculously powerful, invincible, overly arrogant; where's the real characterization? You've over exaggerated everything and made your character suffer at your own hands and utterly destroyed all aspects of characterization. Second step is design. Design is going to be your character's outer appearance that will make it visibly unique from everyone else. This is the tricky part. What do they look like? What comes to mind? Do you picture your character with long or short hair? Do they have blue or brown eyes? Are they tall or short? All of this is up to you, but take into account your character's personality. Look up color meaning charts. You may find that colors such as red symbolize anger and hostility. Is your character short tempered or angry? Red may suit them, so incorporate red into their design. Are they boisterous, happy and energetic? Orange or yellow may suit them. 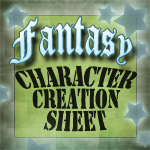 Is your character sad, droopy and seemingly depressed or afflicted? Colors such as gray may suit them great. What does your character wear? Do they come from somewhere that's hot or cold? Are they an ex-war veteran who loves to wear camouflage? Are they a fashonista who loves to wear top notch clothes? If so, take deep thought into their clothes and accessories. This is the part that will make them different from all the other characters. BEWARE. Don't overdo your character's design. If you add too many colors, accessories and any other unnecessary trinkets, your character will become an eye sore. A little hint; if you as the creator can't remember every aspect of your character, down to the color of their shoe strings; you may have a problem. Your character may be too dressed up. Tone it down and remove some of their unnecessary accessories and try to keep it to a minimum of 3 or 4 colors to their color scheme. Third and last step; what is their purpose? What do you intend your character to do? Are they a popular singer in a band that will generate a movement from their listeners? Is your character responsible for saving the world from a bad guy? Or, is your character just meant to go to school, study and hope to get an A on the next exam? Whatever their purpose, use their personality as the driving force to move them forward in their purpose. If your character is sad and droopy, it may be hard from them to find the urge to study all night to get that A on their exam. If they're a fashonista with a huge ego, they won't be studying; they're going to party all night! Though, if they are a bookworm, getting an A on that exam is a cinch. Certain aspects of a character's personality may create problems for them. Like the fashonista that loves to party; he or she may be confronted with failing the 12th grade! Or, the bookworm that loves to study; they may get picked on by other kids. How do these characters's overcome this? How will your fashonista pass the 12th grade? Will he bully a smart kid into doing his homework for him? Will the bookworm concoct a trap that will make the bullies somehow slip in the cafeteria to completely embarrass them? Use your character's personality as a driving factor in their purpose. Also, use their weaknesses as things to drive the plot. So, did you do it? 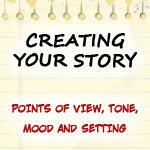 Did you create that well-rounded character that you envied in the story you were reading? Did you fill in the gaps to the character you already had to make them even better? I sure hope you did! Creating characters can be very fun, but it can also be very hard. 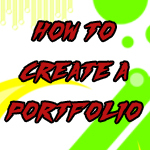 So, use this tutorial as a little helper. Just thought I'd whip this together. Simple written tutorial on how to create a character. 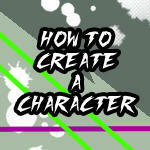 Do the same principles found on this tutorial also apply to Role-playing characters, too? I want to improve on writing better characters and scene descriptions. These advices are quite helpful though. Of course. These can be applied to creating characters of any kind or any purpose! ...hmm....this totally will help me create some new characters! Thank you a lot! You're very very welcome! I'm glad to help. Yes. Thank you! I've already come up with 5 new characters! This is extremely helpful, thanks!! That sounds like another good one! How to make an evil antagonist. What is a plot? 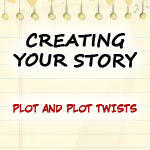 A plot is a series of sequential events that make up your story. Sure, anyone could have told you that. But, how to write one? How can you make something this simple extraordinary? this is how the problem started, this is how we fix it, and this is how we fixed it. Make sense? As long as you stick to this simple outline, it will be much easier for you to create your plot. Plots are also comprised of other parts; the exposition, rising action, climax, falling action, and resolution. we probably wouldn't know who Shakespeare is today. Writing takes time, thought and a lot of organization in order for it to come out as one, cohesive work. In the midst of your random scribbling, many of your ideas may seem to be jumbled and in-cohesive. This makes it hard for you to really get your ideas in motion. How do you fix that? Well, the ultimate way to ensure flow with writing is to undergo Pre-Writing and a little organized Brainstorming. 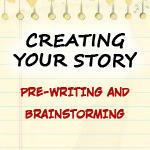 There are several, critical points to Pre-Writing. For each point, write down whatever it is that entails of it. So, you want to write your own story. Sure, it sounds simple, but there's a whole lot more to it than just writing down words. Stories have many underlying backbones hidden from the reader; but without them, your story has nothing to live off of. What are these backbones? Themes and symbols often tie into each other in story writing. Symbols can represent themes, and themes can represent symbols. Themes and symbols often come hand in hand while writing and rely on each other in order to be used to their full potential. But, one thing is certain, without themes and symbols, your story will suffer. Points of View, Tone, Mood and Setting. there's more, such as Points of view, Tone, Mood and Setting. There are many different points of view! When creating a story, researching certain components can make the world of difference in your story and how your audience enjoys it. I can’t tell you how many times my ex-military father would squirm and mumble under his breath in his seat at the movie theater watching a military-oriented movie. That’s because a director didn't do his homework, researching real-life military weapons & how they work. It is your duty as a writer to make sure your story is structurally sound. 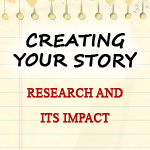 Having a strong backbone of proper research will make your story have a complete 360. How to Make a VillainHow to Make a Villain. One thing to generally keep in mind, however, is the tragic past - avoid it. Seriously, people, nobody likes it when the villain gets whiny. Which isn't to say that they can't have a tragic past, but it's very easy to send it into whininess, or cliché. A bad boy villain character who keeps it all locked up inside really isn't any better. There are several options, though, I'll be listing only the ones I'm familiar with around here.
. Well, you might as well stay anyway. Frankly, if you're at the point where you're reading THIS for help, than any little bit helps - and who knows? Maybe you can profile them! The main purpose of this, however, is to figure out how to pick your character's love interest. To be specific, I will be devoting most of this to finding the perfect girl for your (hopefully) not so perfect male protagonist. The girls, in case you're wondering, will be a getting a White Knight guide to look deeper into the male love interest archetypes. (Despite the name, it's not all about men saving the girls, I promise. But if I'm gonna write something about archetypes, than dang it all, how can I ignore a name that's just so bloody CONVENIENT!?) The two do overlap, though, particularly since I'm all for girls taking the roles generally given to boys in stories. Anyway, onto your actual characters. Whether you are writing a novel or a short story it is best to have your MAIN PLOT before you get too much written down. The Main Plot is the singular thread that runs through the novel/story. You may have character ideas or scene ideas but eventually you need to think about a plot. Do this sooner rather than later. The best way to do this is to list your main characters and then decide what are their individual main plots. Are they all on the same quest with the same ideas / goals or do some of them have their own goals? Motivation for NovelistsMotivating myself to write and keeping that motivation throughout a writing project is one of the biggest challenges I face as a writer. I get the impression a lot of other people struggle with it as well. There are a lot of tools out there such as the Write or Die program and National Novel Writing Month designed to keep you motivated, but they're just gimmicks in my opinion. Writing takes a lot of time and effort, and we as humans need a very compelling reason to exert ourselves in such an extreme manner. A timer or deadline typically isn't good enough. The only effective long-term motivator is a real, tangible reward. Finishing a novel is a great reward, but the gratification is too long coming to really work as motivation. So what reward system will actually keep you writing and rewriting until you can call your project officially finished? Are you indulging in a few too many "special traits"? 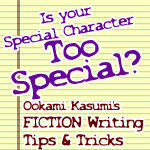 Is your story really an excuse to show off your Super Special Character? Are you committing a MARY-SUE/GARY STUE? --> Dead give-away: Your favorite character is YOU only BETTER! Who is Mary Sue/Gary Stue? "Mary Sue / Gary Stue is any original or deeply altered character who represents a slice of their creator's own ego; they are treasured by their creator but only rarely by anyone else. A Mary Sue/Gary Stue is a primadonna (usually, but not always badly-written,) who saps life and realism out of every other character around, taking over the plot and bending canon to serve their selfish purposes." Assuming for the moment you do know, however, there's an entirely different challenge ahead - picking the right one for your story, video game, movie, or whatever the hell else you're trying. So, what is a Mary Sue? It is used as a form of criticism in literature and refers to an idealised and somewhat "perfect" character that appears to have no flaws or if they do they are so limited that all the "perfect" characteristics overwhelm them making the character "flat." Mary sue often refers to a young female protagonist and male "Mary Sues" are often called "Larry Stu". From my experience most Mary Sues are written in non-published works usually by young writers especially in fan-fiction. However there are a few Mary Sue writers who are actually published (sadly). It shows a deep lacking to create perfect characters unless it's done for satirical purposes. So why should you avoid writing Mary Sues? Simple, perfect is boring! 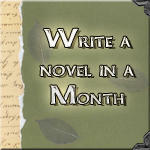 So you want to write a novel in a month? Well its not impossible. Many great authors have done it, and you can too. Its hard at some points and might make you want to give up, but don't. It will be worth it to be able to tell your friends and family "I wrote a novel." Dialogue is the speech between characters. It is when the narrator (you) stops telling the story and the characters speak instead. Never write dialogue like real-life speech. Why? Because if you listen to real-life speech it is littered with umms and ahhs and errs. Anyone who has ever sat through a meeting or an assembly listening to someone droning on umming and ahhing will know just how frustrating it is. The last thing you want is to inflict that on your reader. Punctuation BasicsWriting is like math. If you dont follow the right formula, you end up in a state of mass confusion. Synonymously, punctuation is like following a map. If you miss the street signs, youll end up completely lost. The following is a list of common English punctuation marks and their most basic functions. Contrary to popular belief, there are no exceptions to these rules. Breaking them has never been in style. Wow, thats a lot of symbols! So, how do you use them as you write? Here's a quick and dirty list. 1) Every sentence must end in a period, question mark, or exclamation point. Many writers state that they are very connected to their characters. This is not surprising, for writers we build worlds, we create people and animals and imbue them with a form of life. We let them live in our heads and think on them often. Often I have day-dreamed into my written world, sat on a log watching my characters around the campfire swapping stories. I've seen them laughing, passing around skins of bad wine and spiced meats. I've seen them sink into sorrow at those they have lost, those they couldn't save. Whether any of this gets written is a different matter because it is all designed for me to learn more about my characters, so see them react. We begin to know them intimately, their moods and habits and loves and fears. We can read their facial ticks and subtle body poses. So why wouldn't we become connected? I have read enough books to find that fighting scenes can be difficult to write. Some of the novels I have read have had painful fighting scenes so this tutorial is an amalgamation of my thoughts on the best ways to do it. Before writing fight scenes think about the characters involved. What are their skills, what are their ideas of fighting? Why are they doing so? Is it a sense of survival? Is it to show honour like a duel?